Do you ever wish you could save files you find online directly to a cloud storage service provider? With this handy new free tool called Cloud Save you can. 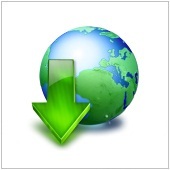 Cloud Save is available for the Google Chrome browser at the Google Chrome webstore. After you install the extension in Google Chrome, you will find a new menu item when you right-click or try to download files in your browser. The menu item allows you to send the file (without having to download to your harddisk) directly to popular web-based services including Dropbox, Google Docs, Facebook, Flickr, Picasa, and more. Simply right-click a file, then decide where you’d like to send it.